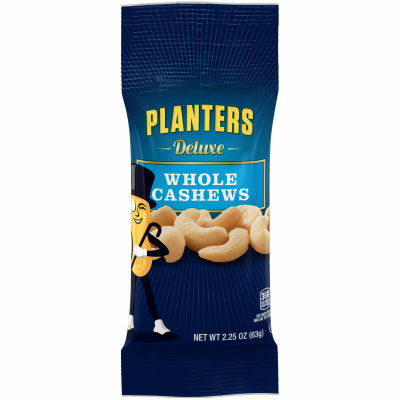 Planters Deluxe Whole Cashews deliver that quality flavor you’ve grown to trust. - Each cashew is carefully picked and then seasoned with sea salt to enhance the natural goodness of each cashew. These cashews are available in a convenient snack-size bag so you can enjoy this nutritioussnack while you’re on-the-go. Serving size 1 pack (63g).